Hello lovely blog readers, and I’d like to take this opportunity to wish all of you a very merry Christmas. I hope by now you’ve all got your Christmas shopping done, and if not, don’t panic! There’s so many gluten free options in the supermarkets and Twitter and Facebook have been a buzz with hints and tips from the free from world. Still looking for a little more Christmas inspiration? Here’s a few ideas which should help out…. Gluten free pigs in blankets = win. Grab the mulled wine or Bailey’s and enjoy! Christmas is not just about the food and these festive tipples are my favourite – I know what I’ll be enjoying on Christmas Eve! And for the big day, I’ll be sipping on some Crabbies, which is marked as gluten free and simply delicious! Add marzipan to your mince pies – I have spent some weeks experimenting with this and have found the best method (to avoid them exploding everywhere) is to put a thin layer at the bottom under the mince meat, or to add chunks to the mincemeat, mix and then fill. Best eaten warm from the oven. Failing that, test out some of the wide range of gluten free mince pies available in the shops. Udi’s are new in the UK this year and are delicious (see review here) and I’ve heard great things about Marks and Spencer – though haven’t braved the hoards of shoppers in there to grab some yet! 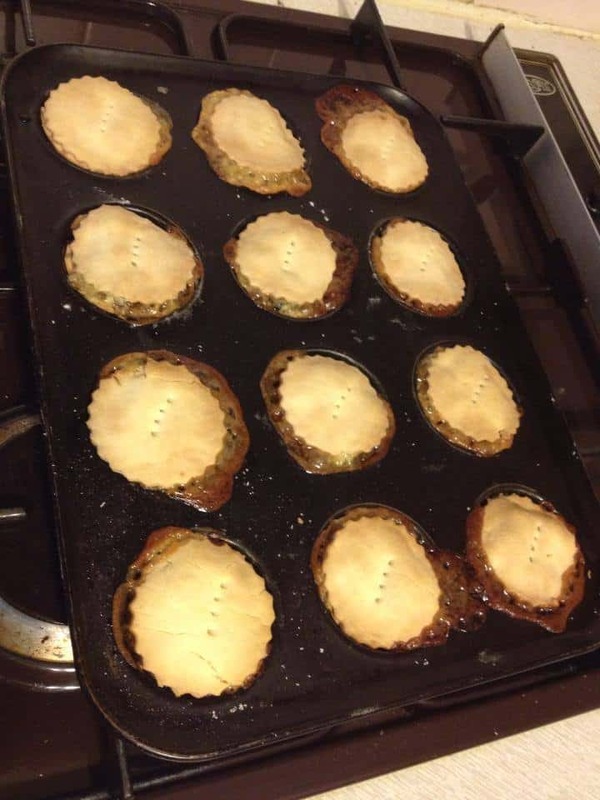 Exploding mince pies – have learnt my lesson on overfilling them! After party food to entertain your guests? M&S do a great range of party food and a lot of it (both frozen and chilled) is gluten free. This is fantastic news for free from shoppers, as party food can often be tricky. Grab some gluten free chocolate fingers from the supermarkets and you’re good to go! Fancy tackling a gluten free yule log this year? It’s the perfect gluten free dessert, rich and chocolately and oh-so-festive. Plus, they are nowhere near as tricky to make as you think! Here’s a fail-safe recipe you can’t go wrong with. If you’re going to be dining on cold turkey and leftover sprouts for the unforeseeable future, get the whole family involved in something a bit different on Christmas Eve. We normally opt for curry but this year we’re going for home made pizza (I’m using Isabel’s gluten free pizza base mix which is amazing – see review here). It’s perfect if you’ve got kids (or are just big kids at heart like us) – get everyone topping their own. 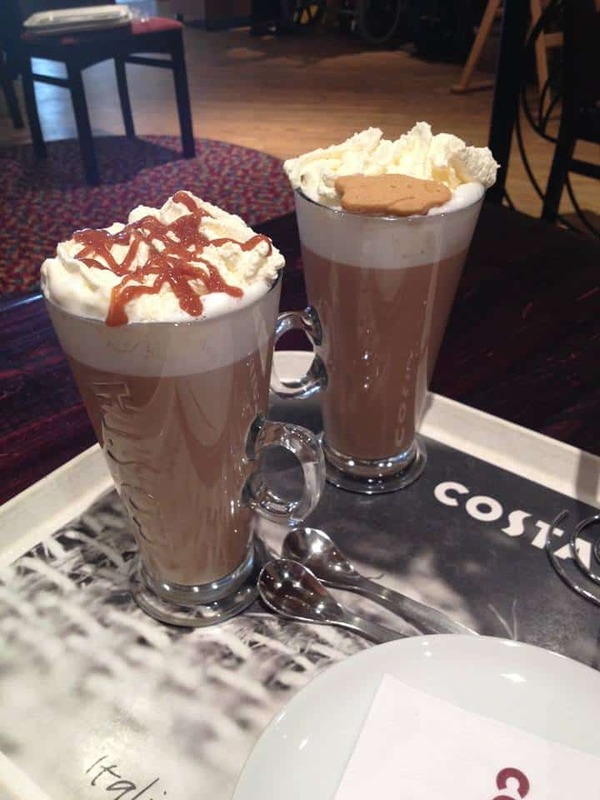 Enjoy a festive coffee to top off your shopping trip! Having roast beef instead of turkey? Don’t forget to make your own Yorkshire puddings!! I would definitely recommend Isabel’s mix (can you tell I’m a fan!?) as it’s so easy, yet produces delicious, crispy yorkies! Don’t forget the cheese and biscuits! It’s my favourite addition to the Christmas table and I could easily fill myself of these decadent treats until I couldn’t move! Opt for Nairn’s gluten free oatcakes instead of crackers, or my favourite, Kent & Fraser’s stilton and walnut biscuits. Simply divine. 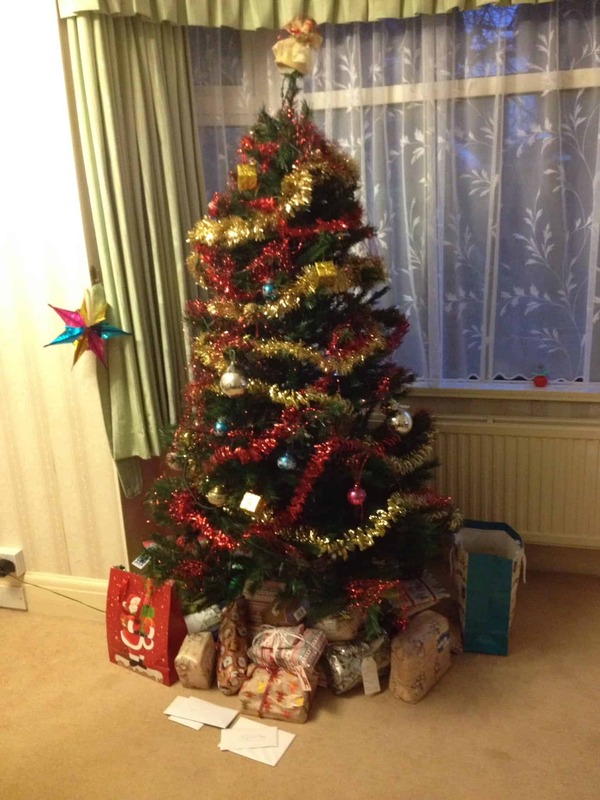 Next Post My gluten free Christmas dinner looked like…. M&S don’t just do a variety, virtually all their Christmas range… all sausages , stuffing , stuffed turkey’s etc is gluten free. It’s a gf heaven at the moment M&S… I even had a gf choc fudge pudding from them and some of their party food (mini garlic kievs etc) is gf. 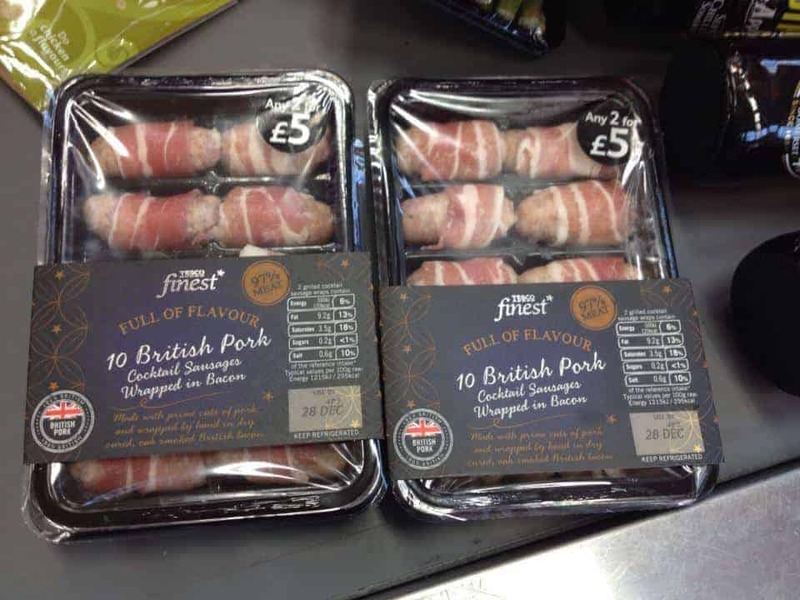 Their gf products, including pigs in blankets, are a million times better than Tesco!